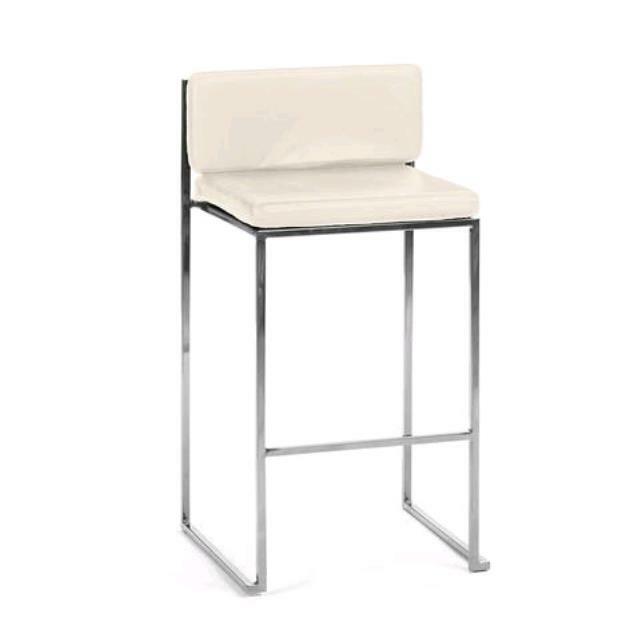 Cleaned lined modern metal bar stool, stacks up to 15 high. One piece removable hinged seat and back cushion. * Please call us with any questions about our paramount ss white stool in Tulsa OK.